Moving towards a green economy holds considerable potential for advancing human development in the face of potential threats brought about by climate change. A green economy is key in tackling climate change because it facilitates access to clean and safe energy for millions of people. It can also boost social and economic development while contributing to addressing environmental challenges. 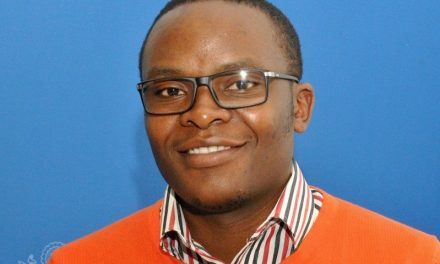 Moving towards a green economy requires several initiatives that must be undertaken and these include, promoting and adopting the use of renewable energy, promoting organic agriculture and forestry conservation among others. On renewable energy for example, the use of renewable energy technologies provides the opportunity to curb carbon emissions without compromising access to energy and this has the important implication of slowing down climate change Renewable resources that can be harnessed in the drive towards a green economy include water, sun , wind , geothermal and biomass. Successful adoption and use of renewable energy by a wider section of the country ensures that every citizen has access to affordable, reliable electricity and fuel without the negative effects of pollution and greenhouse gases. Creation of such a society has an added advantage of ensuring an environment that creates significant economic and employment opportunities for all. At the same time it helps secure new investments in a wide range of industries, both at local and national level. Lastly, the drive towards a green economy through the adoption and use of renewable energy guarantees and strengthens the energy security for the country since access to such energy is inexhaustible and reduces the country’s reliance on foreign energy. Successful migration towards a green economy requires all levels of the society from the grassroots to the national level to fully embrace integrate green economy initiatives into mainstream development. 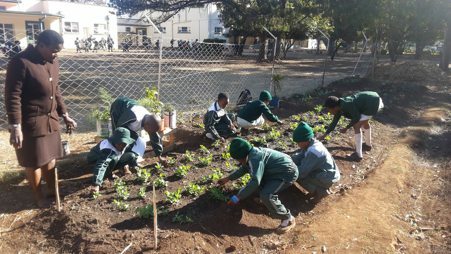 At grassroots level Save Our Environment Trust (SOET), through its Schools Environmental Awareness Programme has been fostering the drive towards a green economy among young children in the Midlands Province. Under the theme ‘Catch Them Young’, SOET believes that targeting young people is essential as it assists in the development of a mind-set that is environmentally friendly in young people which hopefully can be cascaded down to future generations. 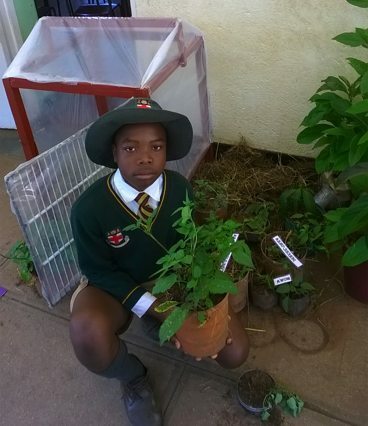 Cecil John Rhodes Primary School Environmental Club based in Gweru has been one of our most outstanding environmental clubs and is leading the race towards moving to a green economy among our environmental clubs in the Midlands Province. Participation in the green economy initiatives at the school cuts across all age groups with all grades being represented from ECD to grade 7.The school under the astute leadership of the Headmistress Mrs Nyabeze and club patrons Mrs Nemutenzi and Mrs Muchiyanja has embarked on a number of projects that include; construction of green house, expansion of the school garden and tree nursey, innovative designing of renewable energy products like biomass stoves and solar warmer. In addition, the school has been promoting the 4R concept in waste management (Recycling, Reuse, Reduction and Recover) and this has seen pupils making balloon powered cars and pencil holders using waste materials like plastic bottles and cans. 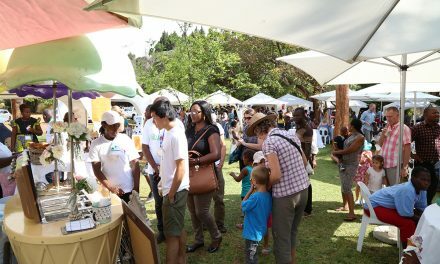 Some of these products have propelled the school to greater heights as they have managed to exhibit their products and come out top at international platforms like the Zimbabwe International Trade Fair and the 11th Zimbabwe Research International Symposium. Farming in the school garden is done using organic manure like rabbit droppings. Crops that are grown or have been grown at the garden include maize,onions,betrude, blackjack,pumpkins, peas,sugar beans, tomatoes, potatoes, onions and vegetables. Some of these crops are grown in old tyres, buckets plastics and wooden boxes and drawers thus integrating recycling and agriculture. 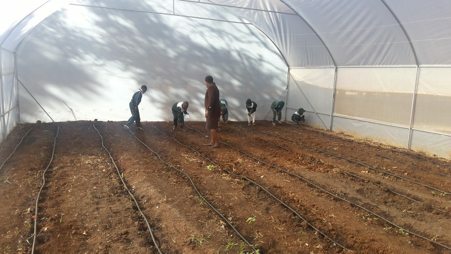 Some of the crops are being grown in the greenhouse which has a state of the art drip irrigation system. The greenhouse was constructed after the success of a model that was done by a grade 7 pupil Carlton Nemutenzi. His small green house was a huge success as it gained widespread appreciation at various exhibitions. This prompted the school to take the idea to greater heights and this has proved to be a success. The green economy initiative pursued by the schools has had a significant outcomes and impacts. These include, young children have been equipped with good eco-friendly farming skills, some money earned from the garden sales has managed to procure stationery and cleaning utensils for the school. In addition, some money has managed to finance other club activities and significantly contributed towards the construction of the green house at the school. The green economy project has added nutritional value to the diet of pupils and some of the produce is distributed to the less privileged pupils at the school. The herbal garden has had medicinal value for the pupils and staff.